José Sáenz Garrido was born in 1961 to a family of shearers in Arnedo, La Rioja. At a very young age he began working in the shoe company founded by his father, Antonio, which over the years has grown to become a leading company in the Spanish footwear sector. His restless, ambitious and enterprising character drove him to create his own company in 2004: JOSE SAENZ. With more than 30 years of experience accumulated in his shoemaking family and always counting on the support of his wife Cristina, his 3 children and a magnificent professional team, he undertakes this new and interesting business adventure full of enthusiasm and ready for new challenges. 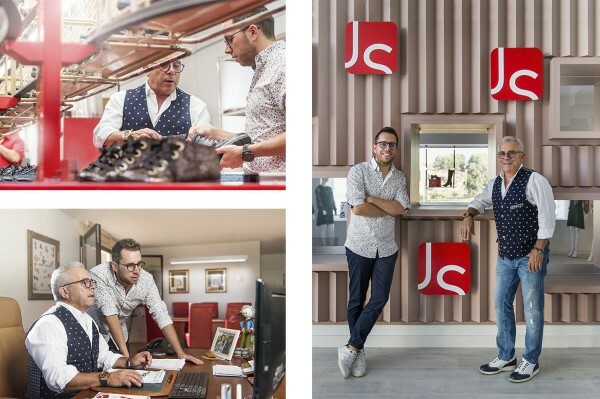 Strength, confidence, enthusiasm and experience are the reasons that moved José Sáenz to found his own brand, in which he takes his passion for shoes to the limit. His creative character allowed him to realise his dream of selling his own philosophy embodied in a product which bears his own name. He began his journey in 2004 by buying an industrial warehouse, which soon became just a small step given the evolution and growth of the company. In 2010 the company moved to the new El Campillo Industrial Estate. An industrial estate created and privately promoted by José Sáenz due to the existing need for industrial land. 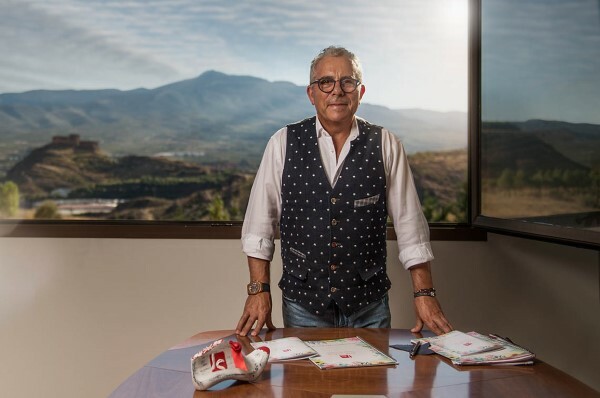 He had several offers of land in neighbouring cities and provinces, but Jose Saenz, true to his roots, opted to create this business space in his own city, Arnedo, the City of Footwear, to create profit and work for locals. The current facilities are located in the main street of this new site, Calle Esquiladores, in memory and tribute to the family business of Antonio Sáenz, José Sáenz’s father. Behind JOSE SAENZ there is always a great team which is up-to-date with the latest international trends. We work continuously on the development and production of new collections due to the great geographical diversity of our clientele. From the moment this company was born, José had in mind the need for a constant but systematic international expansion. Our sales channels are aimed at a global market, while of course always relying on the national market. JOSE SAENZ currently exports 85% of its products to more than 40 countries around the world. The company is currently fully expanding its existing facilities. Thanks to José Sáenz's promotion of the El Campillo industrial estate, the company has sufficient land connected to the current pavilions to construct production, warehouse and logistics areas. We have already had "future prospects" at JOSE SAENZ for some years now with the incorporation of his son Fran Saenz into the team, who has training in international trade, languages, IT and marketing. With his help, work and enthusiasm, the future of the company projects new objectives nationally and internationally, while ensuring that the spirit of a family business with its own character is preserved. Perspectives are strengthened by his two younger children: JUAN, training in administration, and CARMEN, in design. What the whole family and the JOSE SAENZ team have is dedication and a desire to fight and evolve. To adapt to current times, in terms of creation, marketing, manufacture and distribution of footwear. This is the driving force that moves us and excites us all.